Punjabi chole masala or chana masala recipe with step by step photos – one easy and yet lip smacking punjabi chole recipe. chole or chana masala is a favorite among many Indians. 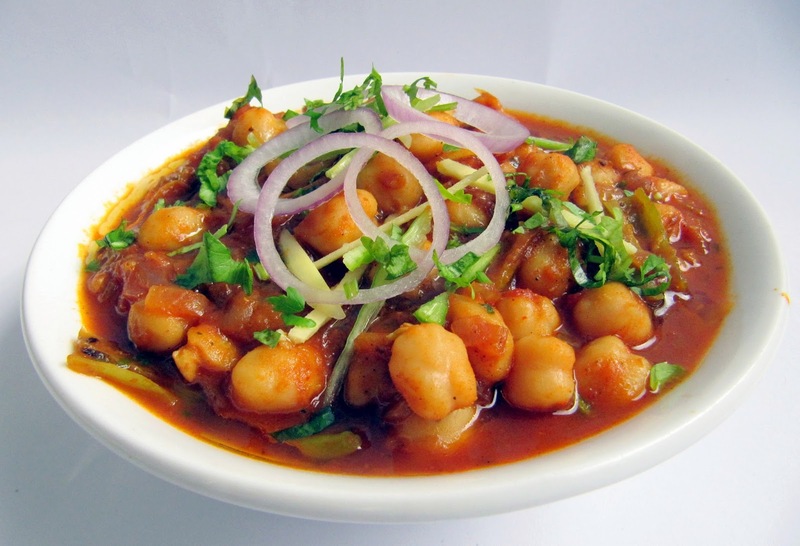 Chickpeas are cooked in onion tomato gravy along with chole masala powder. It is served with Indian flat bread roti, paratha. It can even be served with flavored rice like jeera pulao or plain rice along with onion wedges. It goes great even in the lunch box for kids. There are so many ways a chana masala is prepared and one of the popular is the punjabi chole masala. Usually chole is cooked with tea bags or tea leaves to give a darker color. It also helps to keep us away from bloating. However if making chole masala for kids, I prefer not to use tea bags, just a personal choice. Instructions included in the recipe on how to use tea bags or tea leaves for this recipe. Anardana powder is one more ingredient that is also used in punjabi chole masala recipe to give a unique flavor and tang, but I did feel that they remained hard even after cooking and wasn’t liked by us. SO alternately I use amchur powder. In this chana masala recipe, I have included the recipe of chole masala powder. You can replace with any ready made powder. Soak chana for at least 6 to 8 hrs in lot of water. Soaking for longer helps in better digestion and chana turn out to be soft too. Wash chana thoroughly. Add chana, tea bag to a pot along with 1 cup water and pinch of soda. Cook till soft cooked not mushy. If cooking in pressure cooker, cook for 1 whistle. If using tea powder tie them in a small cloth and add it to the chana. Heat a deep pan with oil, add crushed ginger and sauté till you get an aroma. Add tomatoes, salt and turmeric. Cook till the tomatoes turn fully mushy. Add red chili powder, powdered masala, amchur. Fry for one to two minutes. Add the cooked chana, mix well. Add the stock that is left from cooking chana. if needed add more water to adjust the consistency. Simmer the heat, cook in an open pan for about 10 to 15 mins. cook till it reaches a desired consistency. Garnish punjabi chole masala with grated ginger, green chili, onions. Serve with pulao, plain steamed rice or paratha.